The original Kora Noni Glow Face oil is formulated with Organic Noni Extract, Pomegranate Oil, Rosehip Oil, and Sea Buckthorn Oil. The antioxidant formula revives the skin by reducing uneven skin tone, uneven skin texture, and blemishes. It is suitable to use on face and neck. 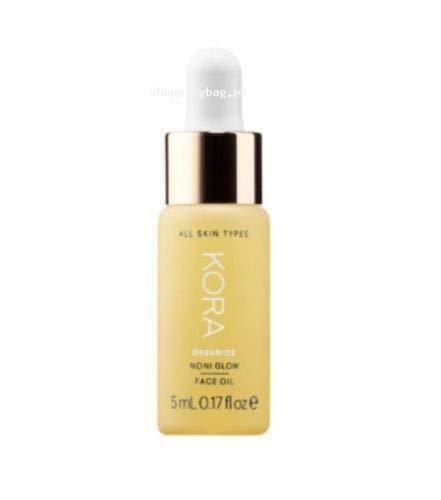 You can find the 5 ml travel pack of Kora Noni Glow face oil from Amazon online shopping in Pakistan. It is recommended to apply few drops of USA imported glow face oil regularly to get younger looking and glowing face. Order now and get it at your doorstep with cash on delivery opportunity.